In her classic “Some Notes on Organic Form,” Denise Levertov argues that “Rhyme, chime, echo, reiteration…not only serve to knit the elements of an experience but often are the very means, the sole means, by which the density of texture and the returning or circling of perception can be transmuted into language, ap­perceived.” When a formal poem is doing its job well, it couldn’t exist in any other way. In All of You on the Good Earth, Ernest Hilbert takes on the sonnet form with every poem. At their best, Hilbert’s poems use that form to full advantage, revealing depths of meaning that would otherwise remain inaccessible. The sky is warm and heavy before rain. Sometimes speed, as you pass forest and plain. Memories gather, and thoughts become strange. Between naps, the banks hardly seem to change. Here, the formal elements of the final couplet reveal and enhance the content. The sonic echo between strange/change highlights the fundamental weirdness of this purgatorial realm, by calling attention to “strange[ness]” and connecting it to the lack of change. Meanwhile, the recurrence of the sound in a new word performs its own meaning: the word “strange” has gone, but the sound returns almost exactly in “change”—we sense that, indeed, things “hardly seem to change” at all, even in the very words we are given. Swerving clots of unflappable classicists. Something that follows you, but not too close. Rinked windows and run for your household gun. But it escapes, if it were ever there. The poem attempts to use language to make the threat understandable and thus capable of being resisted. Yet none of the attempts are stable: one minute the threat is like a boulder, the next like a bird, the next like a cat. It’s no less threateningly nebulous than it was before. Ultimately, the poem is able to name the threat—but only by admitting that it is impossible to comprehend: “Always nearing thing you will never see.” A chilling poem indeed. 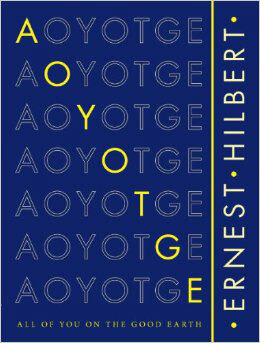 If you’re interested in formal poetry—or even if you’re not—do yourself a favor and check out Hilbert. With work appearing everywhere from American Poetry Review to Yale Review to BODY to Rattle, he’s poised to become a major voice in contemporary formalism.